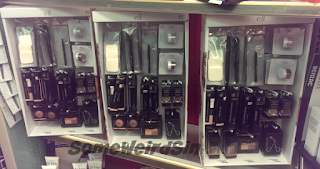 CVS - Spend $10 on Sally Hansen, get $5 ExtraBucks!! (limit 3, excludes clearance) Get up to $15 EB! 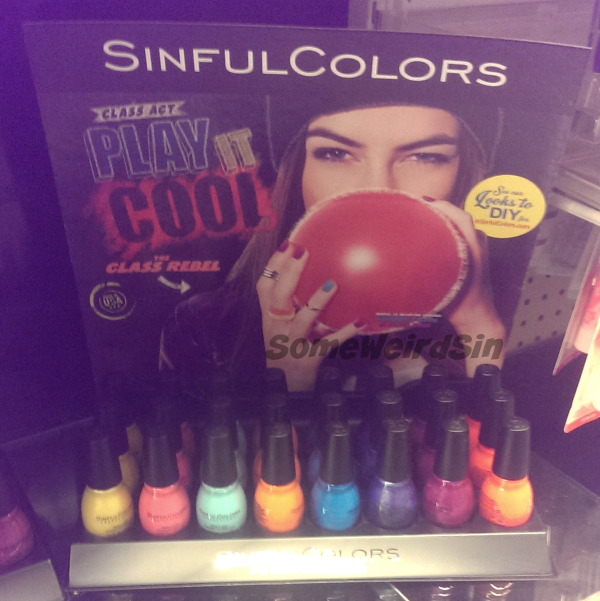 Walgreens - Nothing amazing this week, but next week (8/2 to 8/8) the 99¢ Sinful Colors sale returns! Target - Not a sale exactly, but whatever's left of the Sally Hansen summer collections is now on clearance, so check the usual spots in your local store. I bought three of the Insta-Ombres and saw a few of the Pearl Crush and Beachside Astrologer shades in there too. 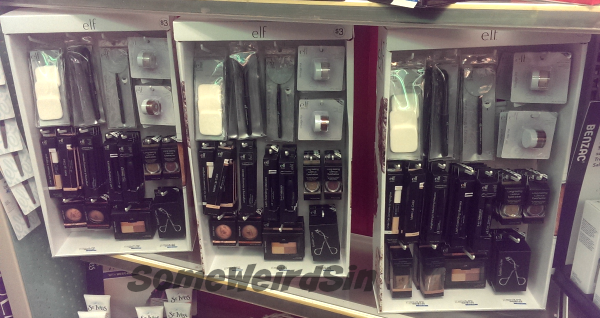 As mentioned by G. on Nouveau Cheap, CVS is expanding the number of locations with permanent e.l.f. displays. This one's up at the CVS in Paoli, PA. I'm not sure how to feel about it, because it replaced the Milani display. e.l.f. is already more widely available in this area than Milani is, though this display has some stuff that the Wegmans, Target, and Kmart ones don't. Everything in this mini-display is $3. 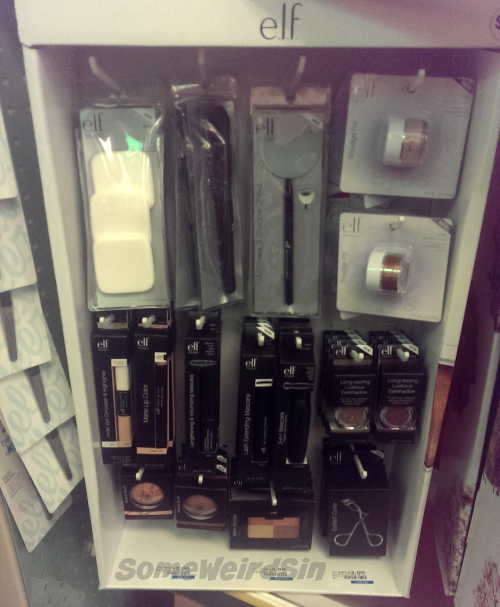 There are a couple of mascaras, two smudge pots, brushes and other tools, concealer, etc. It's a good introduction to the brand for anyone who hasn't seen it before...though I am a little disappointed that there isn't a $1 display too. For some reason, the CVS I saw this in had three of the same display in a row. That's exactly how dead things are right now. See the St. Ives skincare stuff sneaking in below it? This CVS almost never has skincare stuff on these shelves. I haven't seen any of the Class Act stuff at Walgreens yet, but I found Chalk-Board (Chalkboard?) Diaries at Kmart and have seen it at Wegmans too. Here's hoping it turns up at Walgreens in time for next week's sale, since there are three exclusive shades in the big display. I haven't swatched my picks from this collection yet, but I'm excited to see what the demi-matte finish will look like! Daredevil seems to have been reformulated AGAIN, but in the right direction this time. For the past year or so it's been washed out and almost grayish. Now it's back to being glowingly bright...though my phone exaggerates it here. The special sticker on the LE shades in this display says "3-D glitter", which is sorta confusing. I've swatched Blue Sensation and Late Night Haute. One isn't a glitter at all, but an awesome satin matte. The other has glitter, but is more chaotic than 3-D. You'll see what I mean in my swatch post. I should have that up this week, if nothing stupid happens. 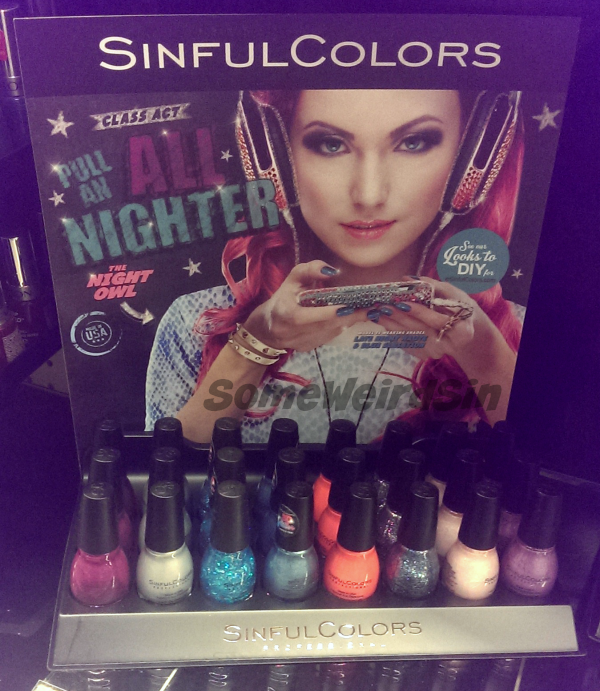 There are two Walgreens exclusives for this collection too, Sinful Sunrise and Night Owl, but I haven't seen them yet. 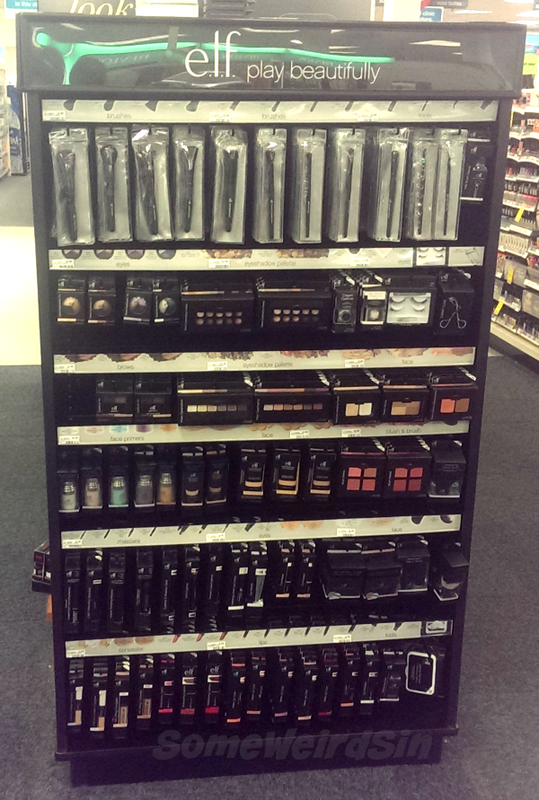 This collection's got three new shades and no exclusives at Walgreens. There's no special finish either. Kinda the odd-man-out of the three. That's it for now. I'm looking forward to all of the fall collections that will be flooding the shelves in a few weeks, but for now it's all about Sinful Colors. I wish more brands did back-to-school collections.